Originally named Meloland Field Station and later called the Imperial Valley Field Station, the Desert Research and Extension Center (DREC) was established in 1912 and has grown from 10 to 255 acres. The Center was established through the cooperative efforts of the University of California, interested citizens, growers, and the Imperial County Board of Supervisors. 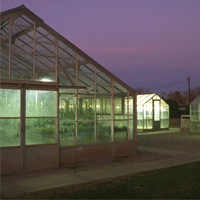 The Center's primary research areas are desert agriculture, field crops, alfalfa breeding, vegetable crops, livestock environmental and feedlot management, irrigation and drainage management, and pest management.